UDM Downloads > Picture Doctor! Data recovery solution for damaged pictures. It supports PSD and JPEG file formats. Picture Doctor restores the corrupted images and saves them in BMP format. Supports JPEG and PSD file formats, recovers images with original dimensions and palette, restores layers data for PSD files, easy-to-use, batch files processing. Your digital photos are damaged? 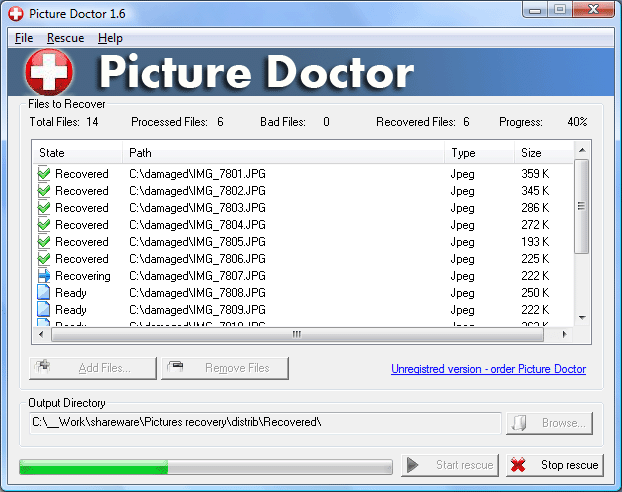 Picture Doctor will help you to recover corrupted and truncated photos! Key features: * Free to try * Supports JPEG and PSD images * Recovers files with original dimensions and palette * Recovers layers data for PSD images * Easy-to-use * Batch file processing * Picture recovery service at home!